Oooh! I love this version of the poke cake! Thanks for linking up! You have some amazing recipes here! I cannot wait to try this either! Your killing me with you cakes! I want some! Thanks for linking up to Southern Sundays! I feature this at my link party today! I cannot wait to try it!!! This cake looks amazing.. Printing them recipe to make it this weekend. Thanks for sharing. This looks soooooo good. I thoroughly enjoyed this delicious post. I would love it if you could share this wonderful post at our WIW linky party. I hope you can join us. Okay, I gotta wipe the drool off my chin first. OMG! This looks like something Mr. B would devour! Thanks again for sharing at You're Gonna Love It Tuesday! I just know Mr. B will devour this. Thanks for sharing at You're Gonna Love It Tuesday! My hubs would love this. He loves toasted coconut! Thanks for sharing on Tout It Tuesday! 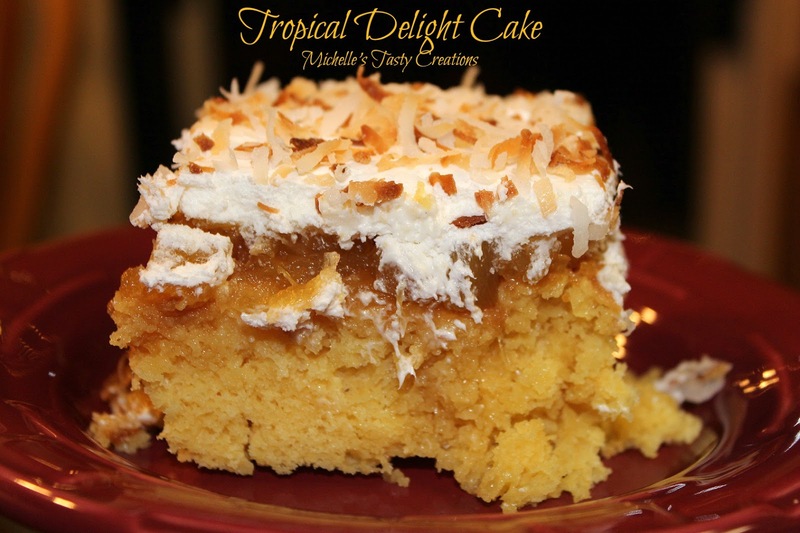 I am just partial to coconut anything:-) This sounds really good...sure wish I had a piece right now! This cake is going to haunt my dreams tonight, I can tell!!! I need to figure out how to make this cake, without using the eggs. It looks fantastic!